These wonderful treats remind me of my British heritage, and eating them during the holiday season. As long as you follow the recipe exact, they will be the most perfect, delicious shortbread ever! In a bowl using a wooden spoon, beat together butter, icing sugar, vanilla and salt until light and fluffy; stir in flour just until combined. 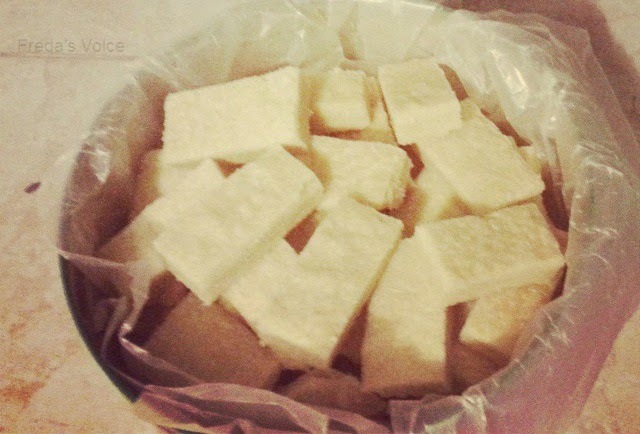 Press dough into a parchment paper lined 9 inch square cake pan. Using the palm of your hand, flatten to make a smooth, even surface. Sprinkle with granulated sugar. Using a sharp knife, score the surface of the dough into 24 rectangles; prick with a fork a few times and refrigerate until firm, about 30 minutes. Bake until firm and pale golden, about 55 minutes. Let cool for 5 minutes. Cut through score lines and let completely cool. Keep in airtight container for up to a week or in the freezer for up to a month. **No compensation was received for posting. Opinions and recipe are owned by this site. I did another batch and it came out paler, which is good. See it pictured below. I'll definitely try this recipe, but I doubt it will last a week at my house. Great cover. MMM looks yummy. I like shortbread, and this looks like a good recipe. Thanks for sharing. I LOVE shortbread. Will have to try this recipe - it looks so yummy!! I love shortbread. Thanks. Will try this. I thought I'd seen this here. We have spent a lot of time experimenting with short bread recipes to find one like Granny's and will have to try this one once the temps cool a bit and I start baking more! 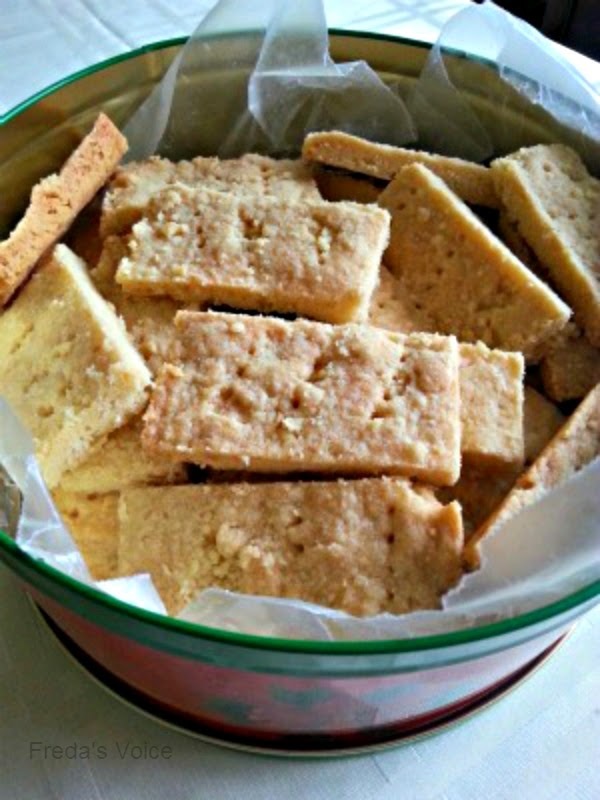 If you have British roots, like I do, then you will enjoy this shortbread recipe. It's just like my nana's. Thank you for the recipe. I will try this one. My husband loves shortbread.